If a newsletter is available for that month the link will be active. In time I will put all available newsletters online. 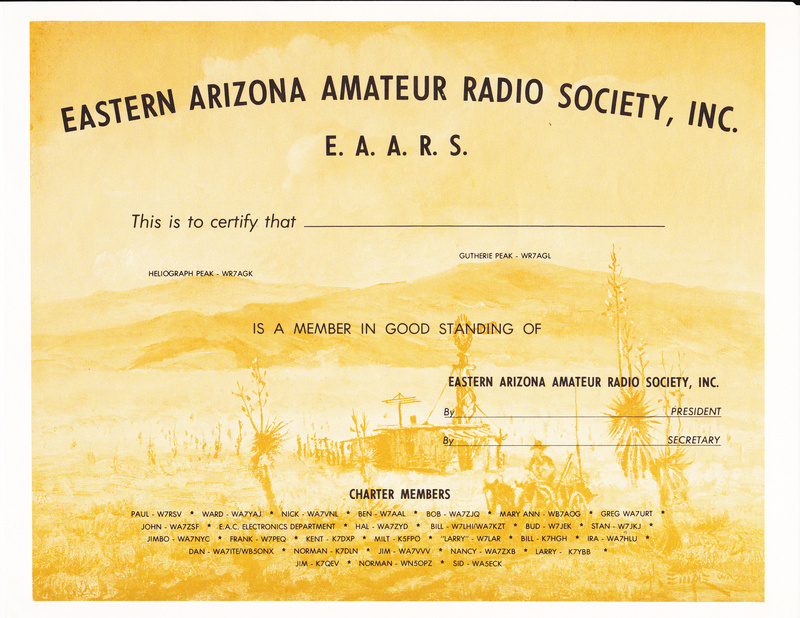 Hal was a charter member of EAARS his original call was WA7ZYD. Larry has located some of these certificates. If you would like one (current members only) Let Larry or I know. They are 81/2" X 11"